Put on your walking shoes and bring your appetite for a 3-hour food tour of downtown West Palm Beach. 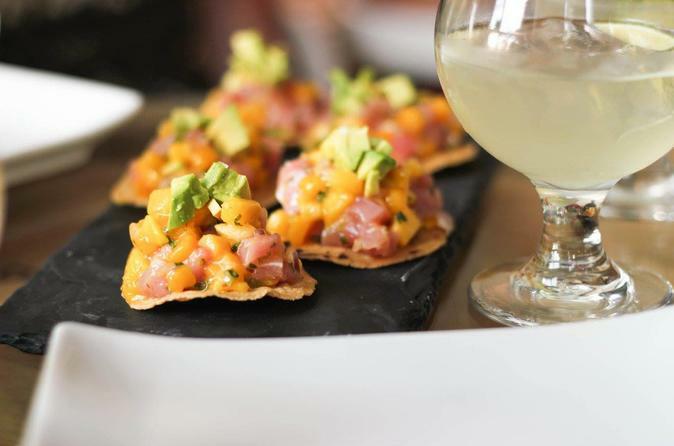 Sip, sample and savor the flavor of South Florida with 12 tastings from 6 of the best local restaurants. Your local guide will also teach your about the local history, architecture and culture to round out your perfect afternoon. This leisurely 3-hour, 1.25 mile walk with plenty of refreshing stops along the way will be a delicious highlight to your vacation. 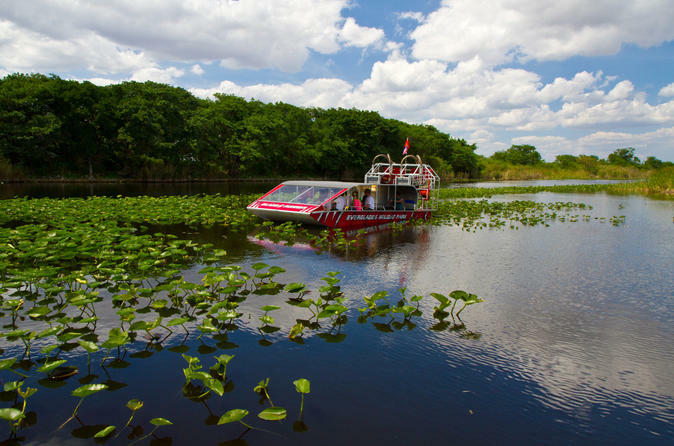 Alligator tour welcomes you to visit the splendid natural world of Everglades National Park. You will have the amazing opportunity to view elusive wildlife within the swamps, grasslands and sub-tropical jungles. Learn about the impressive eco-system and see many animals in their natural habitat such as alligators, exotic birds, snakes and other reptiles. 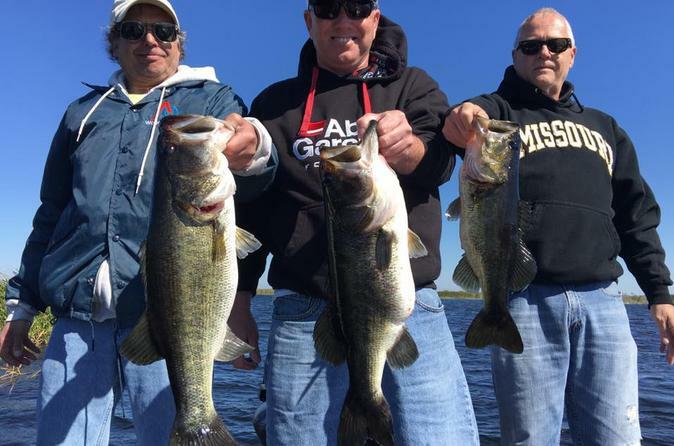 Whether you are looking for a great fishing charter or an incredible sightseeing experience, this 8-hour trip on Lake Okeechobee is for you. Enjoy a private guided freshwater fishing trip on the lake known for its largemouth bass. Your captain guide will take you to the best spots known for fishing. If you don't plan on fishing, you will still have a memorable time as you relax and enjoy the sights. All necessary equipment is included. 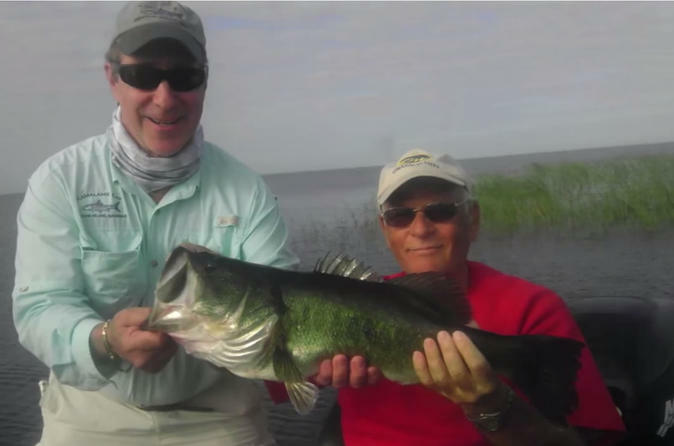 Fish on the world famous Lake Okeechobee, known for the large-mouth bass it produces year round. All tours are guided by a licensed captains in a modern 21' boat. They provide the fishing rods and reels, right and left handed. All the tackle you can use or lose, and all other necessities including safety equipment are provided too. No experience, no problem. Your captains provide fishing instructions and casting lessons which are all included for beginners and advanced techniques for the experts. 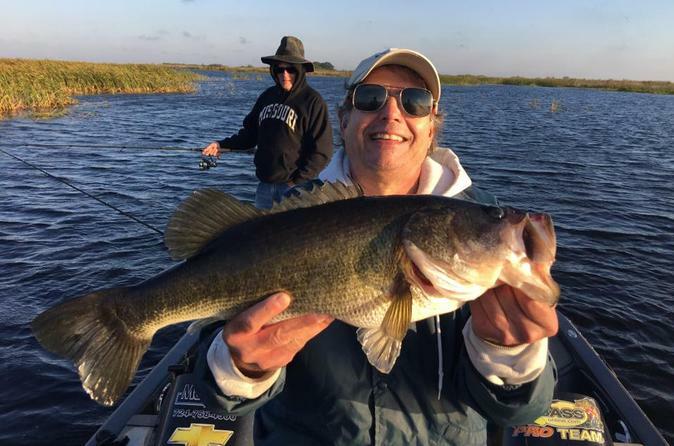 A private guided freshwater fishing trip on Lake Okeechobee, which is famed for the largemouth bass it produces year in and year out, all of our captains are full time guides so they know where the fish are biting. We provide all equipment necessary for your trip, you will need to purchase a Florida freshwater fishing license and all live bait will be an additional cost. We dedicate ourselves to providing you the best experience possible and we operate on a no fish no pay policy. 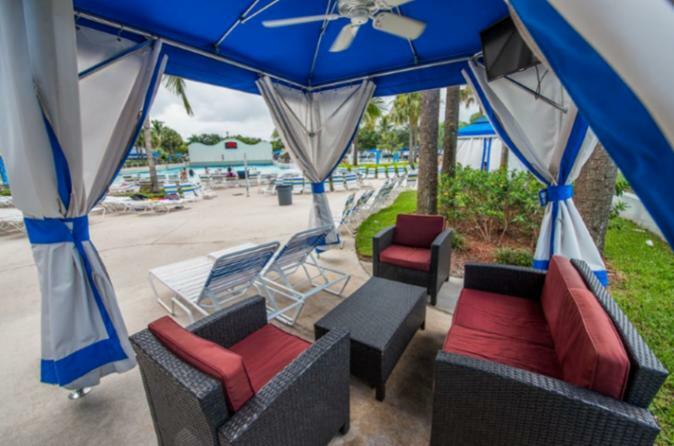 From the Keys to Orlando, you won't find wilder, wetter family fun than Rapids Water Park! Enjoy over 30 acres featuring 42 of the biggest, most thrilling water slides and attractions! 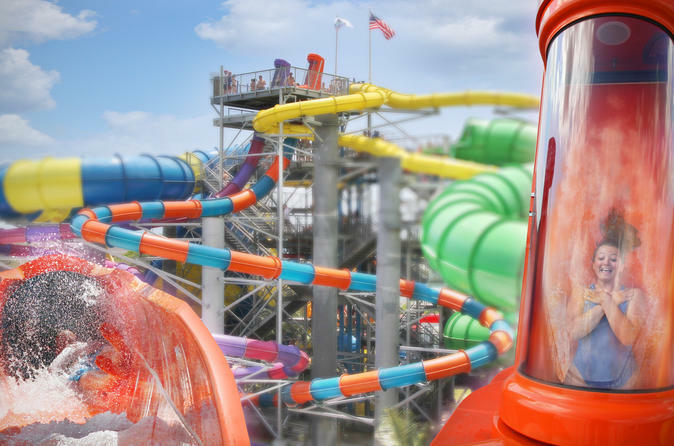 Whether you catch a wave in the 25,000 square foot Big Surf Wave Pool, float around the quarter mile lazy river, boogie board on the FlowRider, or take a thrilling plunge down one of the waterslides from mild to wild, the Rapids offers a full day of non-stop fun for everyone! Fish on world famous Lake Okeechobee on this 8-hour charter. 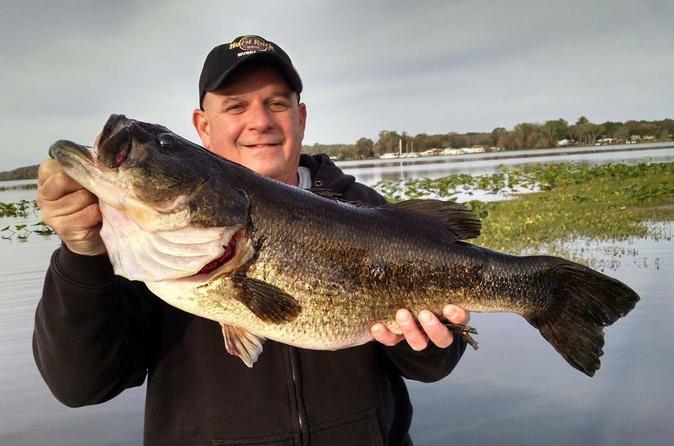 Lake Okeechobee is known for the largemouth bass caught here year after year. Enjoy a private guided freshwater fishing trip on the lake on a modern 21' boat, where your guide knows where fish are biting. Suited for first-timers, experienced anglers and those who just want to relax and enjoy the sights, your captain will ensure that you have a memorable time and ensure that those participating in the fishing activity are spending an adequate amount of time in the best known areas. The charter is great for all ages and the boat is accessible for all physical abilities. So grab your hat, sunglasses and cell phone to take pictures. Fishing rods and reels (right and left-handed), tackle, captain guide and safety equipment included. While enjoying the slides at Rapids Water Park be sure to kick your feet up and relax at one of the amazing cabanas alongside Big Surf! The cabanas are you own private escape within the park. 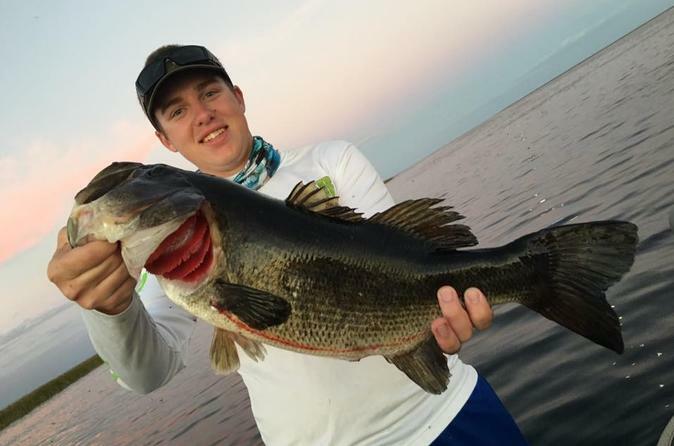 Be ready for superb colorful South American Peacock bass fishing experience. 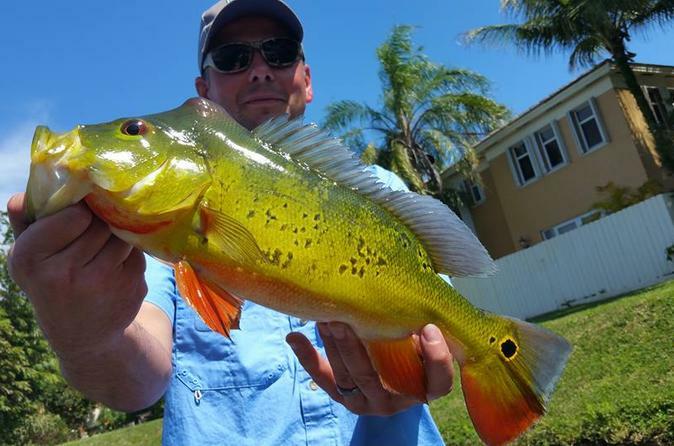 Have a chance to catch the hard-fighting, butterfly peacock bass in Palm Beach. All tours are guided by a licensed Captain in a modern 21' boat. All fishing rods and reels, right and left handed and all the tackle you can use and all other necessities including safety equipment is provided. It's true urban fishing, cruise the canals, fish the lakes all while viewing multi-million dollar homes experience. The Captains provide fishing instructions and casting lessons which are all included for beginners and advanced techniques for the experts. It's suited for both first-timers, experienced anglers, elderly, youth, families and children of all ages and is handicap friendly. So grab your hat, sunglasses and cell phone to take pictures, and step on board, cast a pole, and wait for the tug on the other end. Are you ready for a superb colorful South American Peacock bass fishing experience, without having to travel? 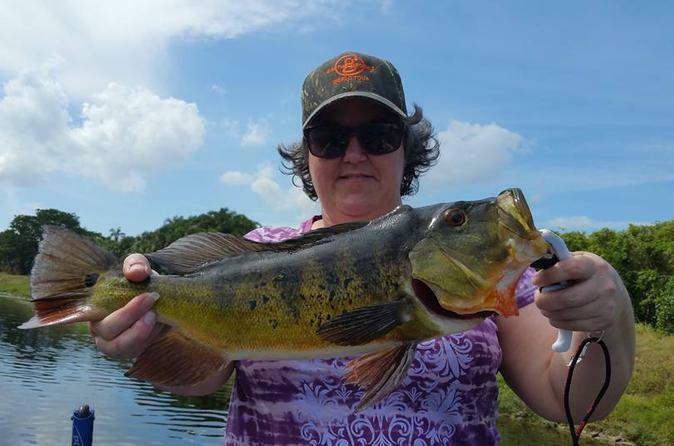 Enjoy a chance to catch the hard-fighting, butterfly peacock bass right in Palm Beach. Tour is guided by a licensed captain in a modern 21-foot boat. All equipment, including fishing rods and both right and left-handed reels are provided. This is true urban fishing, cruise the canals, fish the lakes all while viewing multi-million dollar homes. Your captain provides fishing instructions and casting lessons for beginners and advanced techniques for the experts. Tour is suited for people of all abilities. 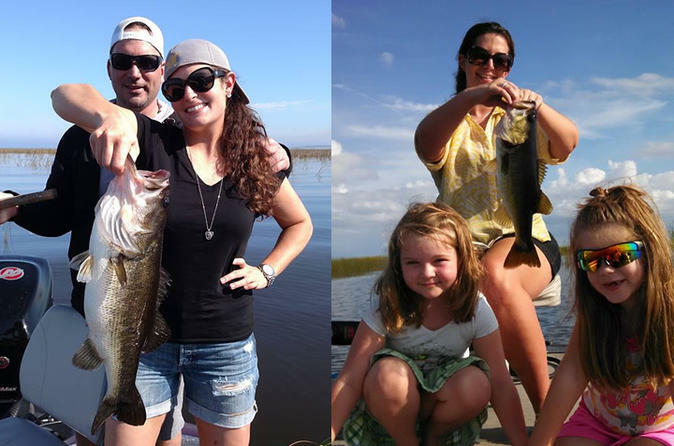 Fish with us on the world famous Lake Okeechobee, known for the large-mouth bass it produces year round. All tours are guided by a licensed Captain in a modern 21' boat, they provide the fishing rods and reels, right and left handed. All the tackle you can use or lose, and all other necessities including safety equipment. No experience, no problem. 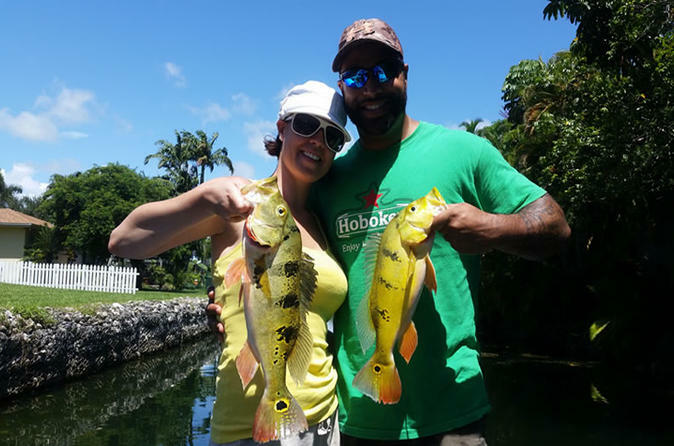 Our Captains provide fishing instructions and casting lessons which are all included for beginners and advanced techniques for the experts. So grab your hat, sunglasses and cell phone to take pictures. All you have to do is step on board, cast a pole and wait for the tug on the other end. This tour will take you on a fishing adventure that will last a lifetime! Experience an 8-hour fishing tour in Palm Beach with the opportunity to catch the hard-fighting butterfly peacock bass. Relax on a modern 21-foot boat guided by a licensed captain while experiencing some of the most unique fishing in the world. You will be provided with right and left-handed fishing rods and reels, all the tackle you can use or lose and all other necessities including safety equipment. Your licensed captain will provide fishing instructions and casting lessons for beginners and advanced techniques for the experts. So grab your hat, sunglasses and cell phone to take pictures. All you have to do is step on board, cast a pole and wait for the tug on the other end. 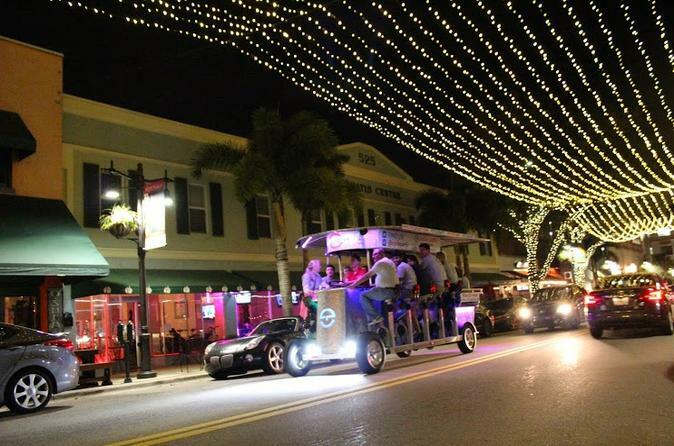 Hop aboard a 4-wheeled party bike for a pub crawl to some of West Palm Beach's most popular bars, clubs and restaurants. 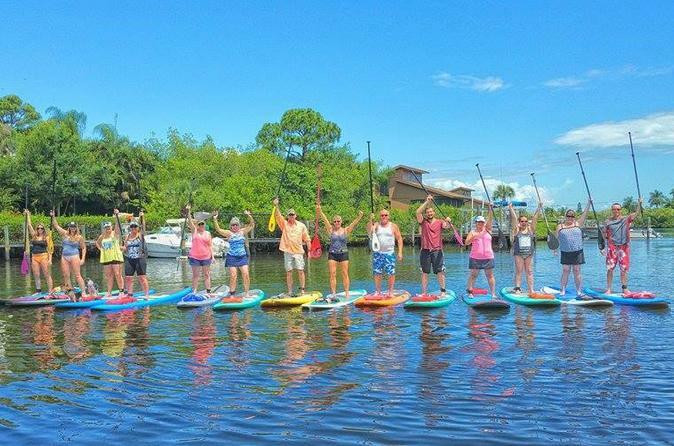 On this 2-hour tour, pedal around the downtown area, including CityPlace and Clematis Street, and stop at three local hotspots to purchase a beer or your favorite cocktail. The party bike holds a maximum of 15 passengers (with 10 pedaling at a time) to provide a small-group experience with a driver-guide, who steers the bike and provides commentary about the sights.